King Master Suite with wonderful views! Seaside Food Trucks - be adventurous! 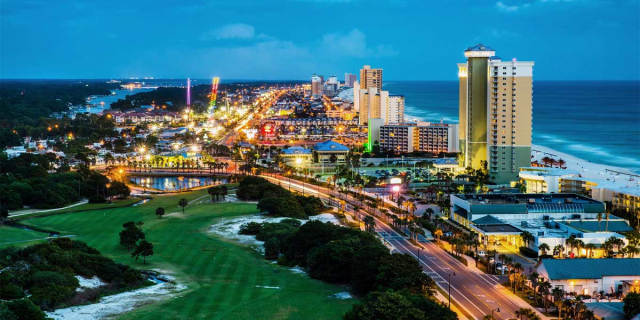 Just steps from the Beach- take the boardwalk! 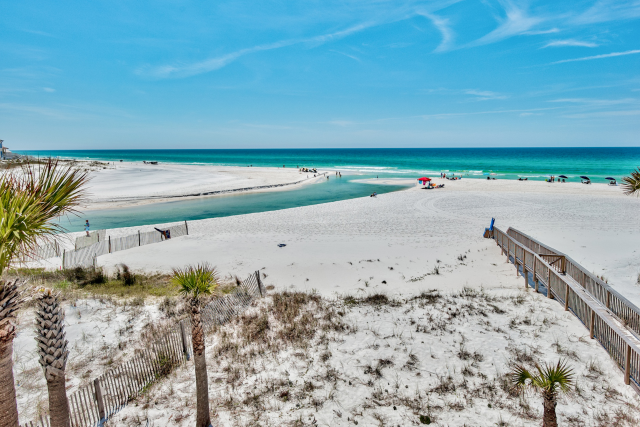 Want to stay in a fabulous condo just steps to the Seagrove Beach access with community pools, lighted tennis courts, and a grilling area If so, Sea Star is the place for you! This beautifully decorated 3BR/2BA condo has a large balcony, modern décor, and tile floors throughout. 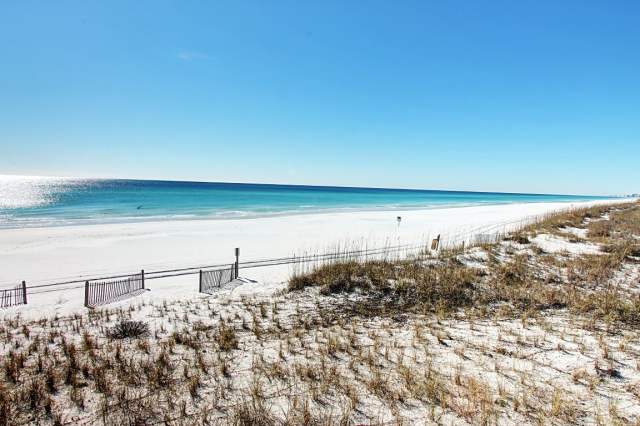 This incredible beach condo is in a quiet Seagrove community and features a king bed in the master, queen bed in the first guest room, and 2 twin beds second guest room, sleeping 6 guests comfortably. Every room has a flat screen TV and there’s even a washer/dryer for your convenience. Check out why Sea Star is a family favorite! 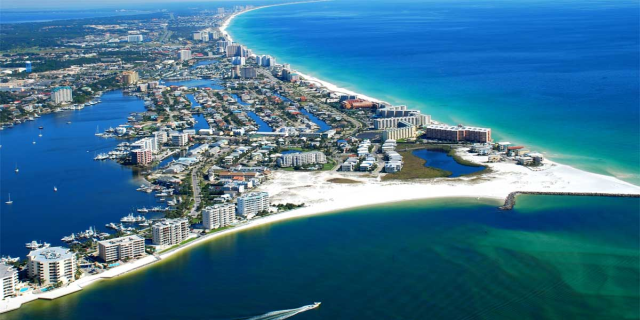 *SNOWBIRD / 55+ RENTAL* Snowbird Season is November through February on a monthly basis. The monthly rate for Nov- Jan is $1700 per month + taxes/fees. February only is available at a premium, but Jan & Feb can be reserved together for the standard rate. Snowbird Rentals can be booked online & are subject to an additional $150 cleaning fee. “The Hub” is the community center for Prominence and is a leisurely bike ride your home or short drive. The Hub offers something for folks of all ages and tastes, from tacos and tequila, to wings, burgers and shakes, a stop here is quick, tasty and convenient, and comes with a side of entertainment at the outdoor amphitheater. It's a great place to catch a concert, sporting event, or a movie on the lawn. 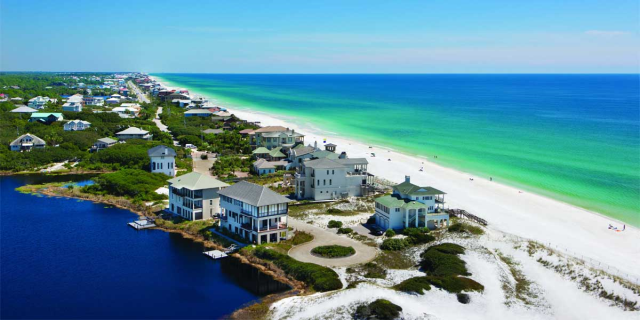 Beachside Villas in Seagrove Beach is a low-density complex located in a quiet area south of 30A, just 1 block from Eastern Lake and the beach access. A beach boardwalk is provided for easy access over the dunes. 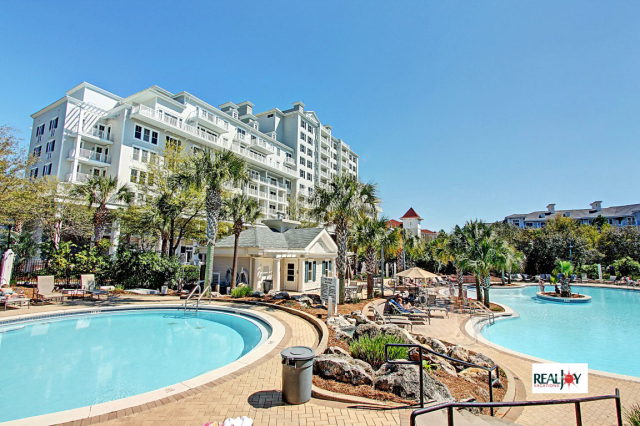 Community amenities include 2 pools, lighted tennis courts, shuffleboard, BBQ grilling areas, and a lakeside deck. Eastern Lake even offers paddle boarding. 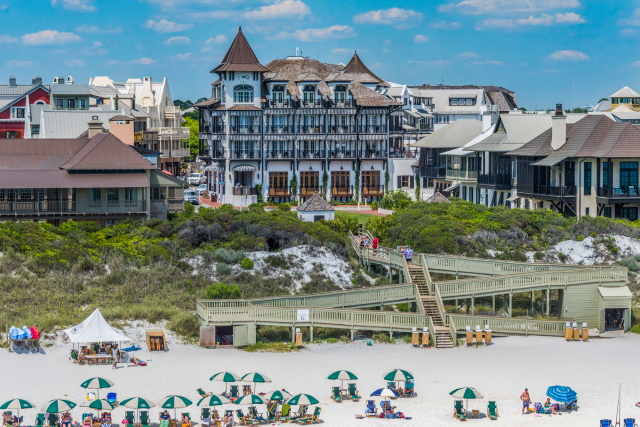 Many fabulous area restaurants are nearby, such as Cafe 30a, Angelina's, The Perfect Pig Gourmet Market, and Old Florida Fish House. 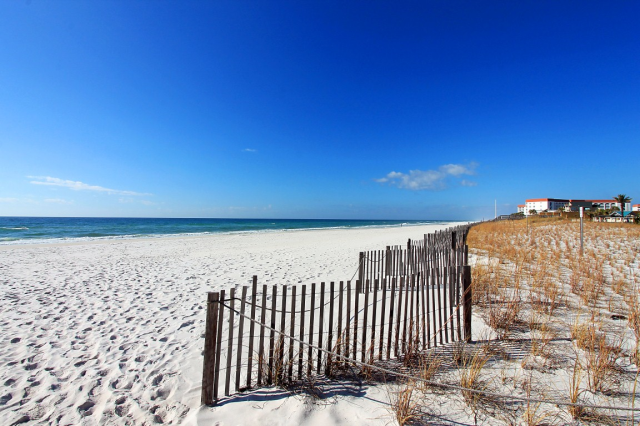 Find your perfect beach vacation at Beachside Villas.